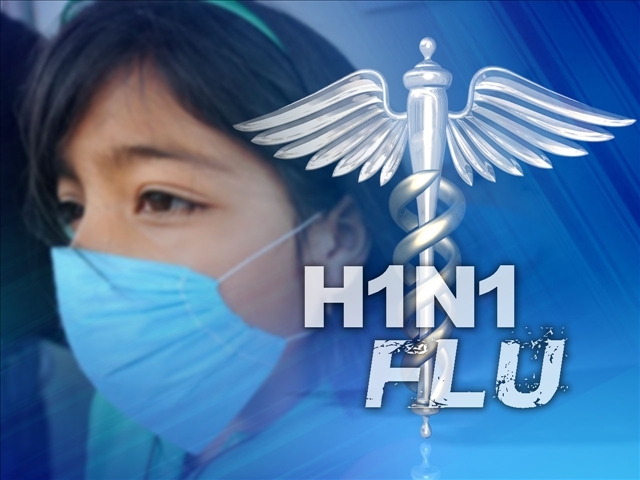 H1N1 is the scariest flu in the environment. It is also called as Swine Flu, Pig influenza, pig flu. It is called swine flu because it was seen in people who were in direct contact with pigs but later a new virus emerged which was spread among people who hadn’t been close to pigs. Swine flu is one of the virus that is included in the vaccine chart. Swine flu is very contagious and is spread through saliva and mucus particles. It spreads in the same way as seasonal flu. When people who have it cough or sneeze, they spray tiny drops of the virus into the air. If you come in contact with these drops or touch a surface (such as a doorknob or sink) that an infected person has recently touched, you can catch H1N1 swine flu. Cover mouth and nose with a tissue when coughing or sneezing. If you’ve got flu-like symptoms, avoid others until you’ve been free of fever for 24 hours. Do not encourage guests to come and see you as they might carry virus with them. Avoid sharing food, tea, coffee and drinks with infected person. 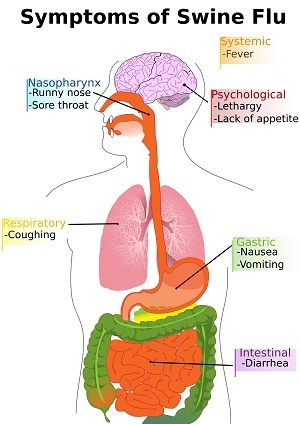 Swine flu has symptoms similar to the regular seasonal flu. This flu can lead to more complicated conditions like Pneumonia, respiratory problems. It can also increase the risk in diabetics and asthmatic patients. If you have symptoms like severe vomiting, shortness of breath, dizziness, abdominal pain, call your doctor immediately. Doctor will prescribe medicines which is usually 7 days to 10days curse. It is advised to complete the course so that infection is cured from Within. Now with medicines there is also an important role of diet. First most thing which has to be a big NO is to avoid outside, roadside, junked food completely. Do not allow yourself to binge on food which you feel is less hygienic or is of cheaper quality. Do not risk your health. Eat warm home made food. Drink only boiled water. I came across a patient, Mrs. Madhu Naik ( Name changed) she was very weak and under weight. She was infected by this deadly virus. But with a good nutritional approach we were able to get her infection cured considerably fast and also her immunity improved. With good diet regime, required precautions, less contact with healthy person helped us prevent it from spreading to the other family members. 1. Vitamin C rich foods. Amla is the best source of vitamin C. Regularly eating amla will boost Vitamin C levels in your system and will help prevent even the deadliest of infections. 2. Add lots of fluids throughout the day. Hydration is important here, an absolutely critical part of swine flu treatment, particularly because this flu causes dehydrating symptoms like nausea, vomiting, and diarrhea in some patients. Even if you don’t feel like eating, make sure you sip on water, juices and other liquids. 3. People who are health compromised, they should also include protein rich food in the diet. E.g meat, chicken, fish, beans, soy based foods. Have minimum of 3 servings per day to build a barrier against infection. 4. Fresh fruits and vegetable juices will also help you fight against infection. Juices like Fresh carrot, amla, spinach. Vitamin A in oranges and green colour fruits and vegetables will help to strengthen the respiratory membranes. cloves and raw garlic is a source of allicin, fights against swine flu infection. 5. Eat small frequent meals. As the infected will not have good appetite. Do not force them to eat huge meals at a time. Instead give them small meals at regular intervals. Infants, toddlers, pregnant women, old age people are more prone to this infection. So please be aware and take the above mentioned precautions. We hope the above article must have helped you in curing swine flu. You may also Want to know about Dengue Fever: Symptoms & Diagnosis ? If you like our article then you can subscribe to our newsletter & follow us on Facebook.